Aqua Coolkeeper is the manufacturer of the well known cooling products for people and animals. The cooling products work with a Hydro Quartz gel that is activated by submerging the product in water before use. 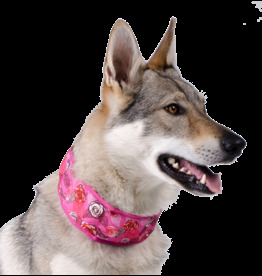 The cooling products are very popular with dog owners because dogs have almost no sweat glands. 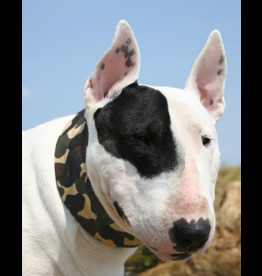 They can only regulate their body temperature by panting or sweating through the pads. 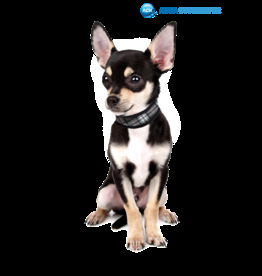 In the warm or hot weather, this is often not sufficient, and the dog can dispose only a small portion of the body heat. 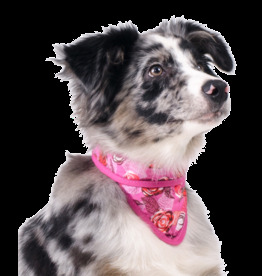 The dogs are very sensitive to the dangers of overheating, which in severe cases can cause permanent damage to the organs, coma or even death. 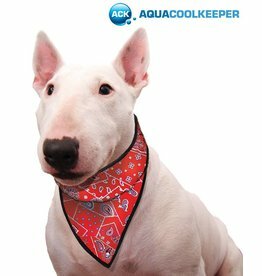 The Aqua Coolkeeper cool products allow the dog to stay cool and healthy at higher temperatures. The use of a cooling product is recommended for warm or hot weather, when traveling, at play, at sports and at outdoor activities. How to use a Aqua Coolkeeper cooling product ? To use a cooling product for the first time, you have to completely submerge the cooling product in water. At ll the cooling products, it is clearly marked on the white label with a clock, how long you can maximum submerge it. On the white label is also indicated with a ruler, which maximum thickness the cooling product may reach. 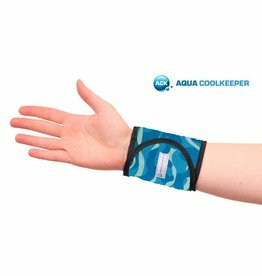 The Aqua Coolkeeper cooling products will thus swell in water and become soft and comfortable. The best you can knead the product in cool water gently so that the HydroQuartz is optimally distributed in the cooling product. You can put the cooling products also on the floor of a shower and spray them with a cold shower, we recommend to wait at least 15 minutes after each spraying cycle so that the product can cool off and absorb the water well. Always make sure that the maximum thickness of the cooling product is not exceeded. After wetting, you allow the cooling product to fully absorb the moisture so that it will feel dry once again. You can put the cold product on a number of towels to absorb any excess moisture. The cooling product can be used directly after immersion, even if it still does not feel dry. For best results we recommend the Aqua Coolkeeper cooling products to immerse in water at the evening and to let them dry overnight. For extra coolness, you can put the cooling products in the refrigerator, but not in the freezer. How to clean a Aqua Coolkeeper ? For washing, leave the cooling product to dry completely. The cooling product is dry when the HydroQuartz in the cooling product are hard, this may take up to several days. To wash it you should use a mild detergent and hand wash, but no soap, detergent or cleaning agent (this could damage the HydroQuartz). To store the cooling product in the winter months, make sure that the cooling product is dry. This may take several days. The cooling product is dry when the HydroQuartz in the cooling product are hard. Do not store the cooling products in a plastic bag, then mold can occur and / or bad odors. Avoid contact with salt water, petrol, diesel, oils, alcohol, bleach or chlorine, as these products may irreparably damage the cooling product. Health and safety of cooling products. The Aqua Coolkeeper cooling products are unfit for consumption. In the unlikely event of ingestion of content, HydroQuartz absorbs body fluids, which is extremely harmful to your health. Consult a doctor immediately and induce vomiting immediately. 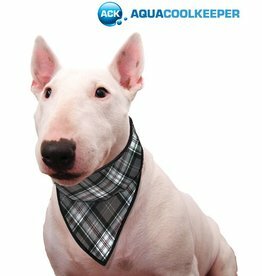 All Aqua Coolkeeper cooling products have been extensively tested in different laboratories inside and outside Europe and no allergic reactions have been observed. 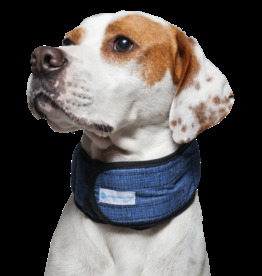 This blue cooling pet bandana cools the neck of your dog for a long period of time. 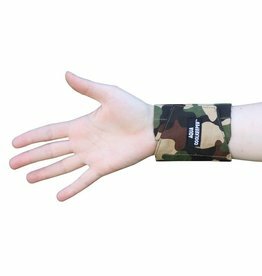 A camouflage cooling wristband, that will cool your wrist after activation of the gel by immersing it in water. A blue cooling wristband, that will cool your wrist after activation of the gel by immersing it in water. A grey cooling wristband, that will cool your wrist after activation of the gel by immersing it in water.